I honestly never thought that i would ever like veils, any kind of veils. For years and years i had an opinion that every veil looked like a curtain taken from the window :) But i guess getting married myself and getting older affect my opinions, suddenly i love veils and the bridal feeling in them. Veils can be different, you are the one who will decide which one is perfect for you. 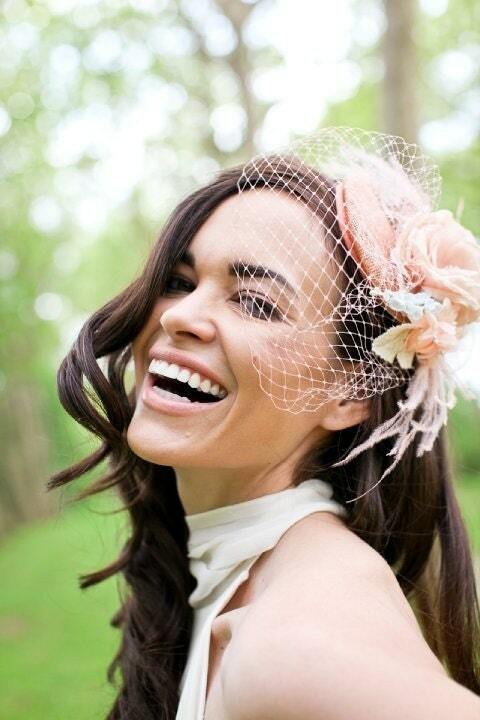 My agenda is to go through all the different styles of veils i can find and help you choose something you might like. 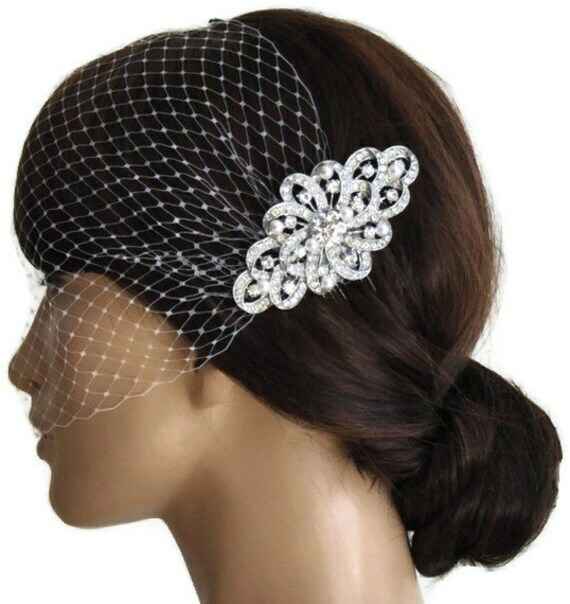 And of course i will show which style i chosen for my own wedding as well. Lower picture shows few different veil length. Picture doesn't show all the styles that exist, but still gives some idea on what possibilities we brides have. When you think about veils, think of them as the perfect accessory that will help you to achieve the bridal look you really want. Same dress can have totally different feeling in it depending on the veil style you choose. 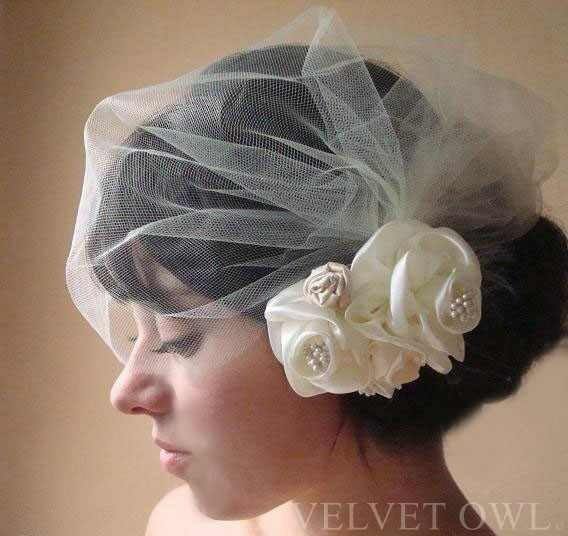 Super long veil will give you a Cinderella feeling while short birdcage veil will give you a vintage look. 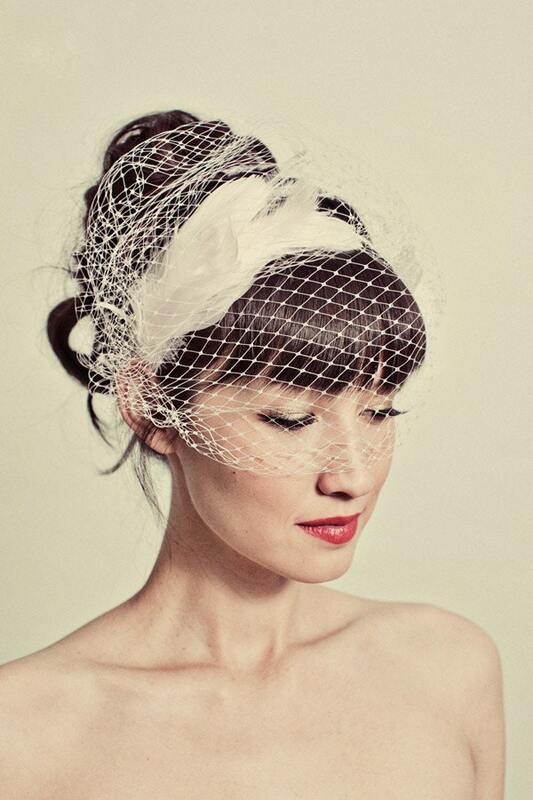 I will start with fantastic 50's inspired birdcage veils. 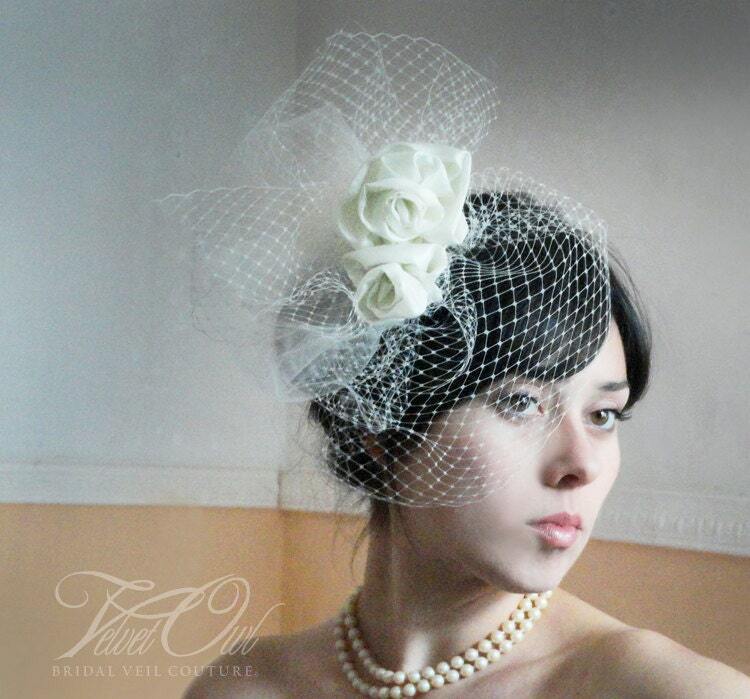 Birdcage veils have a vintage look and are designed to frame the face. You might wonder why isn't it simply called a blusher? But from what I've seen so far, those two have different feeling, different look and even different purpose. 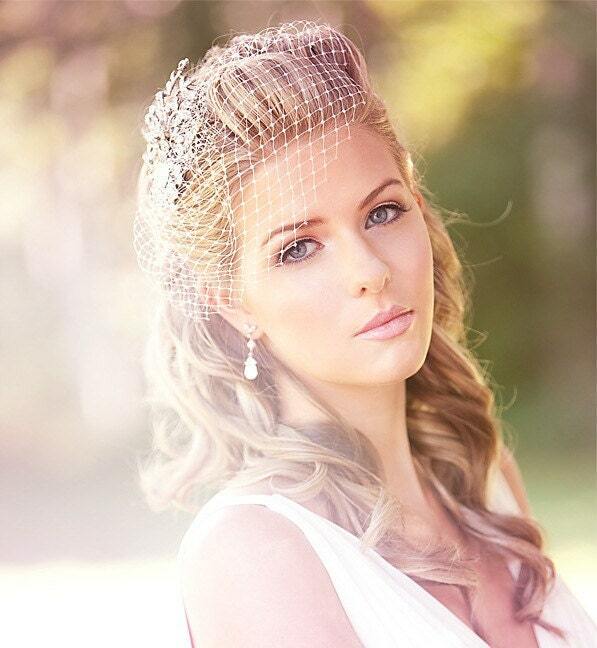 If birdcage veil is made for framing your face and actually is meant to be worn on your face for the whole wedding day, the blusher is meant to cover the bride's face as she enters the wedding ceremony and usually attached to a longer veil on the back. Blusher is pushed back after wedding ceremony as well. I will be introducing you to the blusher veils in my next post. 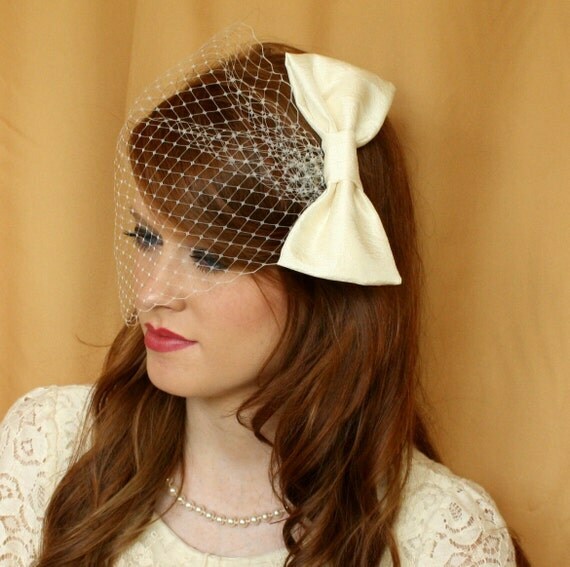 So when will the birdcage veil look good? 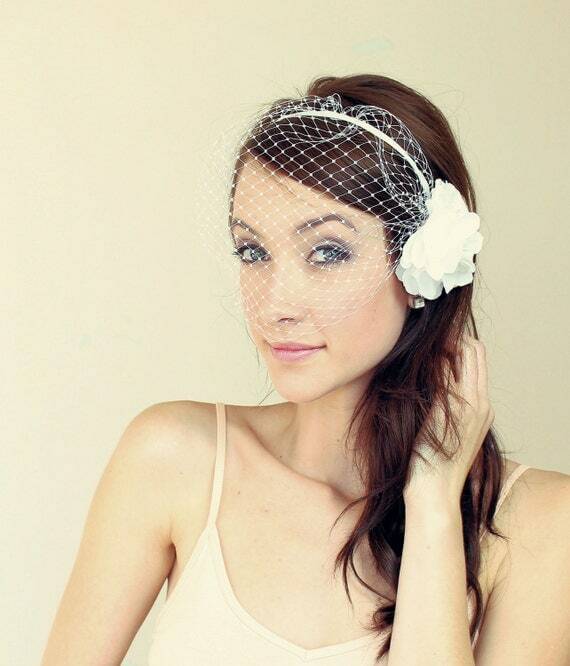 Birdcage veils will look perfect with short swing, wiggle and elegant long dresses. 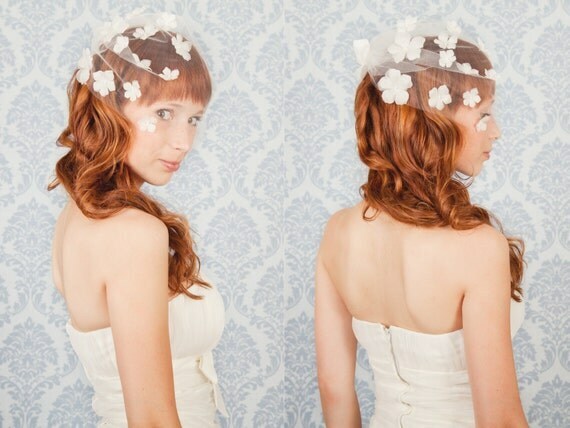 When you want to look less traditional or want to achieve more modern or vintage feeling to your bridal look. 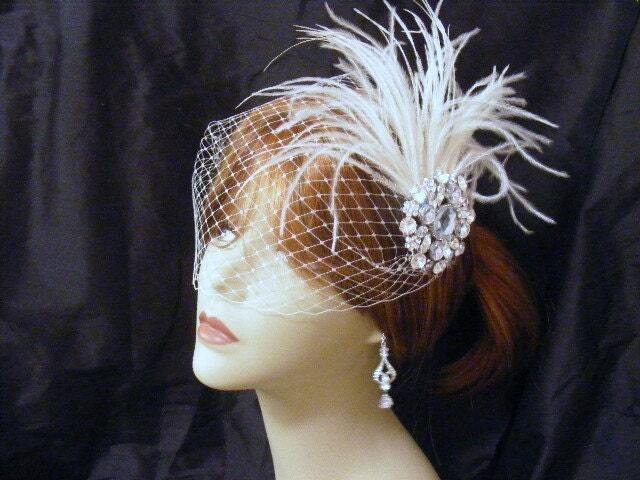 There are numerous amount of different birdcage veils, some will hide more of your face and some will only frame it. They can have flowers, jewelry, feathers or even little hat attached to them. 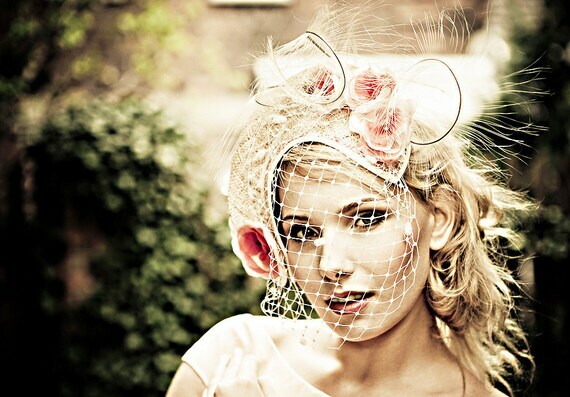 Birdcage veil can be made of French, Russian, or English netting. The size of the squares in the netting is what differentiates the three types, with French being the tightest weave wguke the English being the largest. Birdcage is good option not only for the bride, but for the bride's and groom's mothers and bridesmaids as well.